It's a gift bag for my mum for mother's day because I prefer to give reusable bags or scarves instead of wrapping paper for gifts, with the bonus that I didn't add to my fabric scrap bag with that fabric either! I've been doing photobooks of Anna (and this year of Toby too) each year and giving them to my mother and mother-in-law, so the bag will be handy storage for them too. 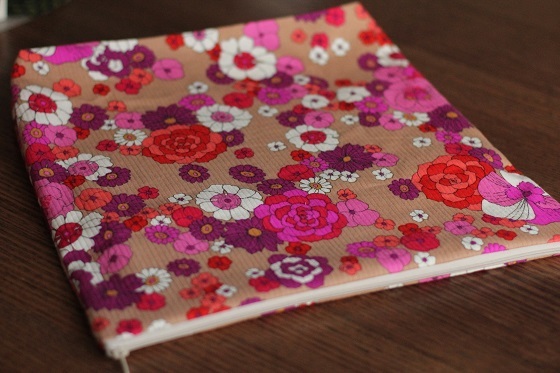 Whilst I haven't been doing any sewing, patterns have been flowing in thick and fast though! First up I received two Sewaholic patterns in the mail from the lovely Reona who in one of those "isn't it a small world" situations lives not far from where I grew and actually owns a dress shop very near where my parents currently live. Reona thought that she probably wouldn't sew the Sewaholic Cordova jacket or the Pendrell blouse and contacted me to see if I either wanted them for myself or a giveaway. I initially thought of a blog giveway since I have loads of projects lined up already, but after seeing so many lovely projects out there made from these patterns I thought it was time I tried this pattern company. Thank you again Reona - it's very generous of you to gift these patterns to me. I do have some heavy cotton duck (or drill, can't remember) in a dark taupe colour I've pulled out of the stash to make the Cordova jacket once I can find the right zip for it. Then I spied the Style Arc Marni jacket over at BeaJay's blog when she made a version in a gorgeous chocolate brown ponte knit. Talk about serendipitous timing - I've been looking for the right pattern to make a jacket from some blueberry ponte leftover from this dress I made a while ago and this pattern is just lovely. It has all the elements I love in a jacket - a shawl collar, princess seams, three quarter sleeves and waist definition. As a bonus when I bought this pattern, the Amber top pattern came free, which is a great pattern designed for wovens (yay!) and I'm definitely going to make it soon(ish). I haven't tried a Style Arc pattern yet either, but I've seen some great results out there so I'm pretty excited to try them out. 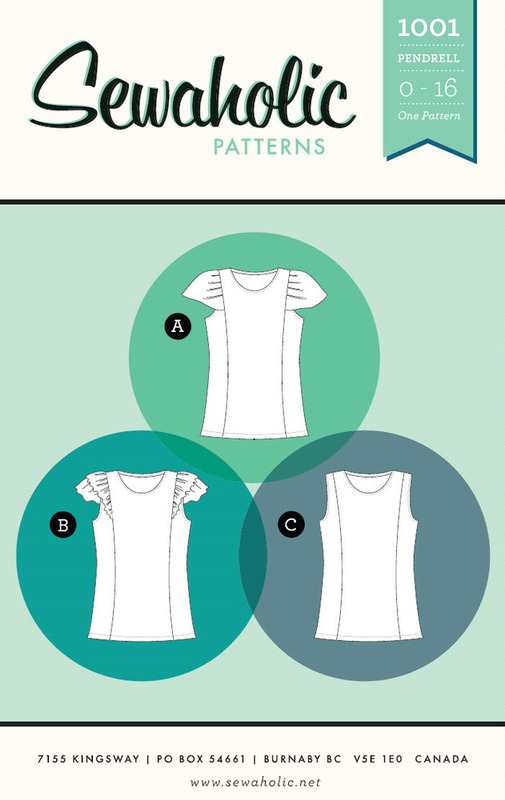 As a nice touch, the Style Arc patterns arrived with a swatch of recommended fabrics attached to help choose the right weight of fabric. The instructions look a little sparse, but as a survivor of the Burda school of nonsensical pattern instructions I'm sure I can handle a little sparseness! And then I was in Spotlight the other day buying some thread and checking out their rather limited range of zippers when I noticed the $5 pattern sale was still going. I had avoided it thus far because I have enough patterns in my to do list for the next year (or three!) that I do not need anymore patterns even at that good price. But I caved and bought Burda Style 7286, after seeing this fantastic jacket over at Sew Tessuti made by one of their customers in a jacquard fabric. When I saw that the pattern also included a version with a scarf type collar I was sold - I just need to find the right fabric now for both jackets. 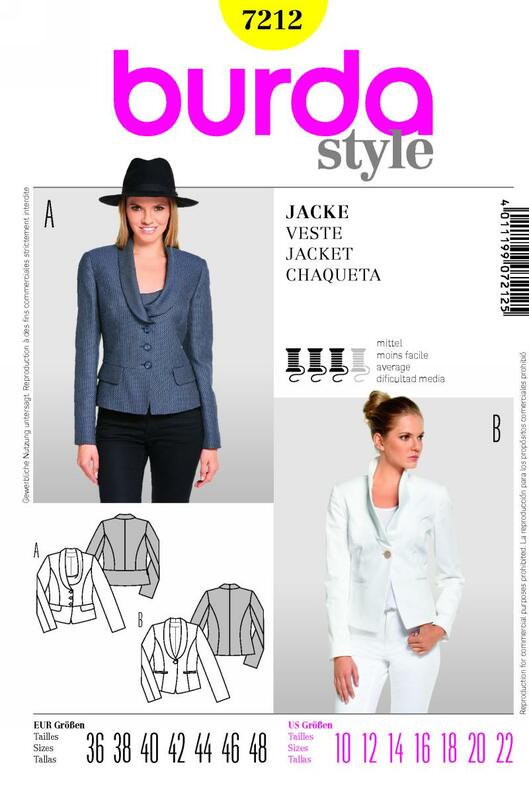 I also bought Burda Style 7212 which I spied whilst flipping through the pattern book because I really like the overlapped shawl collar and peplum style of version A (the grey jacket). 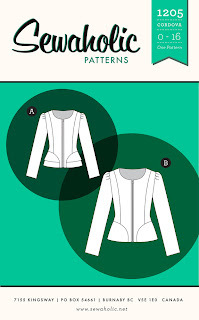 I couldn't find this jacket made up by anyone after a quick google search and check of Patternreview.com so fingers crossed it turns out well because I quite like the corporate look with a slight quirk and I think this jacket would be perfect. I also purchased New Look 6808, a top with several variations after seeing quite a few cute versions of this pattern that Lauren has made over at Sew Lonnie - I'm a sucker for a cute collar because it saves me having to accessorise (I always forget to put on a necklace). And the final course in this pattern gluttony was the arrival of my May Burda mag in today's mail finally. When I first subscribed directly from Burda the issues would always arrive a few days before the start of the month, so I was getting quite impatient for this one since it's six whole days late, How soon I forget that my previous subscription was always about 2 or more months behind ha ha ha! I've seen a few previews of the May issue around on the internets and it doesn't look promising, but I'm sure I'll find something to make. I'm a bit perplexed as to why it says on the front cover '16 free patterns' because there doesn't seem to be 16 more patterns than usual inside and since I bought the magazine purely for the patterns they aren't free at all! To all of you who are participating in Me May Made can I just say how impressed I am with you all - such dedication and energy to all that outfit planning, photographing and posting. I usually do wear some made by myself each and every day but I just knew I wouldn't have time to photograph it which is why I didn't sign up, but I'm thoroughly enjoying seeing everyone else post. Especially Sharon's post on the first day where she was wearing not only clothes she made but also a necklace and handbag she made - that's taking the challenge to the extreme! And finally, Sydney sewists - another meet up is in the planning stage, probably on a Sunday sometime in June so start thinking about what you'll sew or wear! I don't suppose a high tea is in order so we can dress up like our Melbourne counterparts? 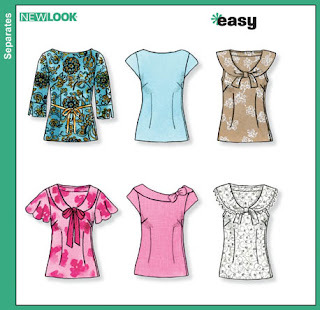 PS Make sure you have the ASG June industry day in your calendar because it's at Simplicity - more pattern purchases. Oooh high tea. Sounds good. I love all your patterns Kristy. And I am so with you on the shawl collar. 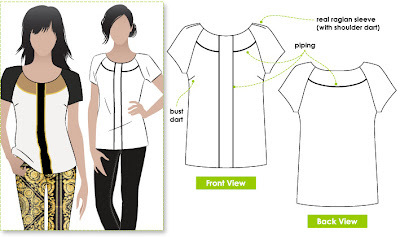 So comfortable and flattering, and they just sit right without having to stuff around adjusting all the time. The idea about the photo books is a great one as well. I might do one of those for Mum for her birthday. If my kids will agree to some photos. Love your gift ideas - and a zippered bag instead of disposable paper - brilliant! You'll love the Marni Jacket - it goes together so well. I too was enthralled by the jacket on the Tessuti blog - so much so I thought I would buy the fabric and make one - then I saw how much the fabric was!!!!!!!!!!!!!!!!!!!! Looking forward to seeing your patterns made up. Whewww, what a post. 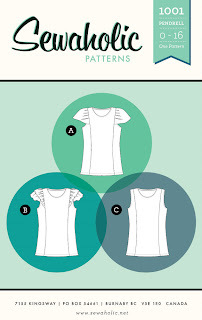 I agree, May Burda patterns are a bit hard to think of making with the cooler weather we have been making. And do come to the ASG June Industry Day and I promise to TRY to behave more befitting the occasion, ha ha. Like the gift bag idea, and that print just makes me smile. I've also had my eye on the Marni jacket as well, for some orange ponti I bought at Tessuti. I love the lines on it too. I'm sure you'll do it justice. You have been having some fun with patterns and I can't wait for you to make the Cordova jacket as I have been tempted by this pattern. Love all the others and look forward to seeing them come to life. Great way to give your Mother and Mother-In-Law their gifts very clever. Oh... I spy some rad patterns ahead (especially the Amber top- this is fantastic!) and the bag for mother's day is cute as a button!